Many underwater sellers are worried that their banks will reject a short sale when the truth is if the seller and the property qualifies, most banks will readily approve a short sale. As with most truisms, though, there are often exceptions. Sometimes banks will make unreasonable demands in a short sale. They often make unbelievable requests to approve the short sale based on their investor requirements. Those demands don't always make sense. Demand a higher sales price than an appraisal will ever meet. Some agents mistakenly believe that banks are stupid and/or the BPO agents are incompetent. But that's because agents believe the banks care about the BPO, and that the banks are telling the truth. A bank negotiator might say the BPO came in $200,000 when the BPO suggested a sales price of $180,000. However, a sales price of $180,000 might not cover the investor losses in the same manner that a foreclosure would. The bank or its investors might demand that the seller occupies the property. There could be a clause in the PSA that says only owner-occupied properties will be approved for the short sale. The bank negotiator could require that the seller move back into the home, even if the seller moved across the country to take a new job. The negotiator could suspect the seller won't move back, so the negotiator doesn't have to reject the short sale -- the seller will do it by refusing to move. The bank could demand a seller contribution the seller cannot afford to pay. It is not unusual for a bank to ask the seller for additional money, above and beyond the sales price. Often, the bank will not allow the real estate agents or the buyer to pay that contribution, which may be exorbitant. In many instances, the banks want the money only from the seller, as though somehow punitive. If the seller doesn't have it or can't borrow it, the bank will not approve the short sale. Seller provides a documented hardship. 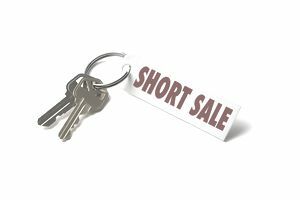 While banks sometimes accept a strategic short sale, most short sales are approved based on the sellers' financial hardship and on circumstances beyond the sellers' control. Don't expect to walk away with an approved short sale and no contribution if you have assets and disposable income. Seller has accepted a reasonably priced offer from a qualified buyer. The sales price should be close to the comparable sales. Sometimes the bank will counter a buyer's offer just to see if the buyer will pay more, but in the end, the buyer's lender still needs to appraise the home at the price agreed upon. Before approving the short sale, the bank may want to see the buyer's proof of funds and/or a preapproval letter, if the buyer is obtaining financing. Most of all, the transaction needs to make sense to the short sale bank. Simply because the value of a home has declined is not enough of a reason for a bank to approve a short sale and let the sellers off the hook.